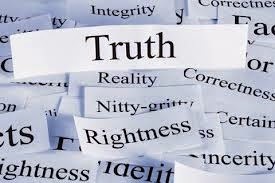 I was talking to someone about truth today and I remembered something I wrote a long time ago about this very subject. This article for the Journal of Aggressive Christianity was written 13 years ago when I was in Maple Ridge. It was the early days for us in building the shelter and transitional housing facility, I had two young boys, the youngest not quite a year. I remember it as a time of tremendous stress and turmoil, busyness and fatigue and in the midst of all that, I was struggling to find myself deep within and was trying hard to put together a truth for myself that I could live within while outwardly living my calling, my vocation, within my organization while expressing myself in writing. The search for the truth in each one of us is a lifetime's journey. If you find yours, live it. I'm copying the article here for you to read.